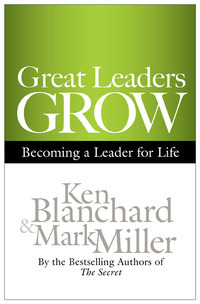 This is a short review of “Great Leaders GROW: Becoming a Leader for Life” by Ken Blanchard and Mark Miller. The story is straightforward. Blake Brown loses his father, a successful business executive, just as he is about to complete his college degree. He reaches out to Debbie Brewster, a long-time associate of his father, seeking career advice. In a series of one-on-one coaching sessions, she shares with Blake what his father had taught her both by word and example over many years. Meanwhile, Blake lands a job at one of his preferred potential employers, Dynastar, but is assigned to a cold, heartless boss with impossible expectations. With Debbie’s advice as a guide, Blake manages to lead the company out of a bad business position and helps the boss confront a difficult personal situation to boot. Just in case it wasn’t obvious, “GROW” (rendered in the title in capital letters) is a mnemonic device. It represents four activities that help people become good leaders. Each activity focuses on an area of continuous improvement. They are revealed by Debbie as the story progresses, and while I would love to provide a summary, I feel like I would be taking away the whole purpose of reading the story. If you really must get to the point without taking the time to read, there is a very concise summary of the activities at the end of the book. Also, Blanchard himself gave away the first three (G, R and O) in this 2012 interview with Forbes, and covers all four in a series of ‘blog posts about the book made just prior to its release. Was it a good read? Yes. As I said, the story was straightforward and easy to follow. The plot and character development was sufficient for a work of this length. In my mind, it played out like a drama-comedy show (sometimes called a dramedy), despite the seriousness of some of the scenes. I mentally cast a young Jason Bateman in the role of Blake (think The Hogan Family, not Horrible Bosses), a conservative Jack Black as Sam, his ne’er-do-well coworker at Dynastar, and Ellen Barkin (Animal Kingdom) as Debbie Brewster. Ms. Barnwell, the impossible boss, was played by one of my former coworkers (who shall remain nameless), but Michelle Monaghan (Made of Honor) or Liv Tyler would be a close visual approximation. Cinematography akin to that used in shows like The Office or Boston Legal accommodated the serious bits, yet allowed for humor, sarcasm, and plenty of those sideways ‘whatever’ glances. I felt that picturing the books’ scenes in this “format” was appropriate given its length; after all, isn’t that what sitcoms are all about? All problems solved in thirty minutes or less? One side note, many of the summaries, commentaries, and reviews of this book (e.g. Washington Post) contain the same line, stating that Great Leaders GROW “is an instructive fable”. This line is so prolific that I imagine it must come from the authors themselves, in the promotional materials perhaps. It’s a bit of a peeve, but this story is not a fable! There are no talking animals at all in this book! It may be better described as a parable, because, like a fable, there is a lesson to the story — a ‘takeaway’ to use contemporary office vernacular — that can be summed up in the pithy phrase that gives the book its title: Great Leaders GROW. I recently picked up two audiobooks from the library, not realizing that they were highly-complimentary works on the same topic: decision theory. Both dig deep into the psychology of the human mind and explain how different functions of the brain play their respective roles in the decision-making process. 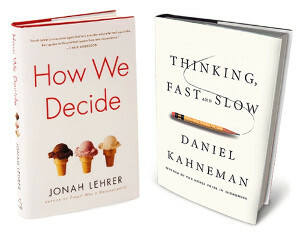 I listened to Jonah Lehrer’s How We Decide first. I was immediately captivated by Lehrer’s storytelling delivered by narrator David Colacci in the matter-of-fact tone of a national nightly news anchor. Being a layman in this area, I decided the work is, if nothing else, very interesting. Kahneman’s work in Thinking, Fast and Slow reinforced and surpassed Lehrer’s, covering more information and in more detail, requiring more time and mental effort to listen to and digest. Patrick Egan’s narration was consistent but didn’t hold my attention as Colacci had. Both authors lean on investigations and experiments in the study of psychology to paint a picture of the human mind for the reader. One concept covered in depth by both authors is the idea that decisions are made in one of two ways, either by intuition or through cognitive reasoning. Lehrer refers to these modes of decision-making as emotional and rational respectively, whereas Kahneman simply (and admittedly arbitrarily) labels them as System 1 and System 2. Emotional decisions are the ones that just “feel” right, even if rational thought seems to dictate a different position. Similarly, System 1 thinks “fast” and makes decisions based on a set of experience-born heuristics, whereas System 2 thinks “slowly” and is engaged explicitly when a problem requires any measure of conscious thought. This is not to say that the use of one system over the other is strictly dictated by the problem domain, say for example, solving math problems. Kahneman points out that anyone who knows basic arithmetic can visually scan the problem “2+2” and the answer will immediately come to mind thanks to System 1, but being presented with a multiplication problem involving two two-digit numbers requires the application of math rules, which falls squarely in the realm of System 2. Both authors explore the nuances of this segregation of mental duties, though Kahneman is careful to point out that this dichotomy is a convenient way to help classify mental functions but is not indicative of the literal existence of two separate systems or that one part of the brain is solely responsible for this function and another part for that function, etc. While this concept is the focus of Lehrer’s book, it must be noted that Kahneman covers additional topics in his. Honestly, I am not an expert in psychology and thus not qualified to assess the correctness or completeness of either work, but I found them both very interesting (as a layman), and felt that both authors were successful in introducing the subject matter to a broader audience. I felt quite satisfied after finishing Lehrer’s book, having listened to it first, and I wonder if this would have been the case had I done so in the reverse order. If I had to recommend only one for the casual listener, it would have to be the Lehrer/Colacci book as the presentation is much cleaner and easier to listen to. There is a big caveat with that recommendation, however. In researching the particulars for this review, I discovered that Lehrer’s book, which was published in 2009 was subsequently recalled by publisher Houghton Mifflin Harcourt in 2013 due to a substantial number of errors and plagiarized passages. Obviously, the recall did not extend its reach to extant copies available in library collections and the book is still available for sale online. Upon further investigation, I learned that some (if not most) of the lifted passages constituted self-plagiarism, also known as “recycling fraud”; however, there was at least one part of Kahneman’s book that I felt sure (System 1) I had heard before, a feeling I initially dismissed as déjà vu, but that now I realize (System 2) may have been one example of Lehrer’s plagiarism. (I do not have the time or inclination to go back to the audio now to find it, so I will leave that depth of research for someone who does.) Having said that, Thinking, Fast and Slow wasn’t published until 2011, but Kahneman does reference a lot of his own prior work, much of which was performed and published with his good friend and research partner, Amos Tversky. In the synopsis on the back of the CD case for Lehrer’s book is the statement, “Jonah Lehrer arms us with the tools we need, drawing on cutting edge research by Daniel Kahneman…and others…”. Scientific American published a short opinion on the matter titled How We Decide (To Falsify), a witty little piece about Lehrer’s other problematic book, Imagine, that explains how scientists can (for a variety of reasons) choose to rely on intuition instead of hard facts, and may resort to fabricating data. The article subtly infers that Lehrer chose poorly when fabricating quotes (possibly under the pressure of a deadline) when both his training as a scientist and the subject matter of his second book should have helped him make a better, more professional, and more ethical decision. 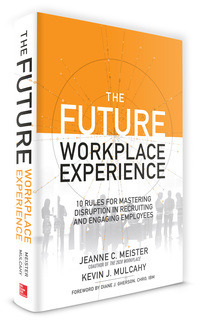 This is a short review of The Future Workplace Experience: 10 Rules for Mastering Disruption in Recruiting and Engaging Employees, written by Jeanne C. Meister and Kevin J. Mulcahy and narrated by Nancy Linari. Is your company keeping up with the trends of the modern workplace? Have you found that you have been unable to retain new hires in recent years? Times are changing and so is the workforce. The benefits people seek in their careers are different than what they were even a decade ago. This book will help you assess how your company fares in the task of providing an awesome workplace experience and will open your eyes as to what it should (and should not) be doing to attract, engage, and retain good workers in the modern labor economy. I have personally watched — and in some cases, contributed — to the implementation of some of these ideas in real-world settings, and from what I can tell, the authors are pretty much spot-on in their recommendations. The book is packed with a ton of case studies and research findings that support not only the direction of the trends, but also the efficacy of the changes. Even though I am not a Human Resources professional, I found the proposal and discussion of these rules to be not only interesting but useful. Now some of the things that I’ve seen changing around me make much more sense. The first — and I would classify it as the most fundamental — rule about making the workplace an experience has caused me to have an entirely new outlook with regard to my own career potential and sources of motivation. Growing up, I perceived that there were basically two roads to success: the corporate ladder and the self-made man (sorry ladies, rule #8 wasn’t in full effect back then). The former seemed like the better way to acquire wealth, but most have to settle for not finishing their careers at (or even near) the top, which always seemed a little sad to me. On the latter path, you start at the top (e.g. opening a corner grocery, like Mr. Hooper on Sesame Street), but there’s only so much monetary reward that can be gained, and of course, I eventually learned about capital and investors and such, and being either bought out or put out of business by the competition didn’t seem very satisfying either. In recent years I’ve come to realize that the legacy you leave doesn’t have to be about how much inheritance you leave for your children, or the possibility that the company may someday name a building after you, or even that the grocery store you created may eventually grow into a huge chain of stores. All things perish, and the best you can truly hope for is that you are able to inspire others. “Others” may include your children, friends, colleagues, clients — whoever gets to hear your greatest stories. And great stories are made from great experiences. Sometimes you can craft your own experiences, but the authors of this book understand that companies that are not actively trying to assist you in that endeavor don’t perform as well today and are therefore less likely to exist tomorrow. The other rules are also important to understanding the modern American labor market and how HR must help guide companies in this realm. I find the concept of using work space to drive a culture of collaboration and creativity absolutely fascinating. So-called “gig workers” have been around for some time, but I had no idea that this arrangement had become nearly as popular as it reportedly is today. As an active member of a workplace diversity team, I am very familiar with issues surrounding age and gender gaps and how they can lead not only to ineffectivity but also discrimination. And, if not for continuous on-demand training, well, I wouldn’t be writing this book review right now. The attitude of the authors toward continuous learning is precisely what drives me to share my life learning experiences via this ‘blog. There are two things I didn’t care for in this book and I think they are related. First, I didn’t care for the narration (I listened to the audiobook format). I looked up Nancy Linari online and discovered that she is an actress and acting teacher. I’m not familiar with her work at all, so I watched a few clips online, and I can’t count this as one of her best performances. Her delivery is a little too steady. Overall, I felt like she was just reading a script and that she wasn’t really all that interested in the material herself. The other thing I didn’t care for was the name dropping, list upon list of companies doing this or that. As I said, I’m not an HR professional, so any anecdotal value the uttering of a particular string of company names is supposed to have was completely lost on me. The inclusion of these references became annoying and the narration did little to help in this regard. Linari’s tone would change in just a certain way and I would tell myself, “oh no, not another list”. In all, though, it was a valuable read. Part of continuous learning is recognizing when that which you have learned in the past — through either study or experience — has become outdated. It is better both psychologically and for your career to learn new things like those discussed in this book outright and to adjust than to allow yourself to become rigid and set in the old ways of doing things. 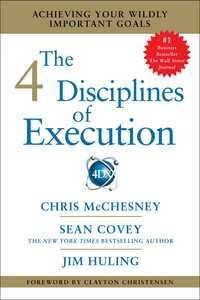 I was first introduced to The 4 Disciplines of Execution (4DX) by a colleague at work. Our training department provides the opportunity for employees to host book reviews as part of our continuing education, and since my colleague found this book very useful in setting and attaining his own professional goals, he shared his experiences with the rest of the company and continues to advocate the adoption of 4DX by other teams. I too have found it useful; thus, I am sharing it with you. The 4 Disciplines of Execution is the title of a book by Chris McChesney, Sean Covey, and Jim Huling, published in 2012 by Free Press. In it, the authors propose a new strategy for accomplishing new goals and producing better results. The problem with any initiative aimed at improvement is that it must give way to the day’s business, what the authors call the “whirlwind.” To use an age-old analogy, they simmer on the back burner while the pot in the front is watched to make sure it doesn’t boil over, and when mealtime approaches, the food in the back is often either burnt to a crisp in an attempt to make up for lost cooking time or never finished at all. How can one manage to maintain steady progress toward attaining their goals without these risks? The first discipline is all about setting goals. The key is set just a few of them, only one or two if possible. If you have too many goals, it is impossible to focus on them all and nothing gets done. Having only one or two will help ensure that you can stay aware of what they are. Most people focus on outcomes, but if you want to drive progress toward achieving a goal, it is much more effective to measure the inputs. A textbook example used by the authors (and everyone else; the “Hello World” of productivity) is weight loss. Don’t measure the pounds. Measure caloric intake and hours of exercise. Outcomes are typically predictable if the right inputs are identifiable, measurable, and controllable. If you are serious about achieving a goal, you must know where you stand at all times. A compelling scoreboard that is easy to update and understand improves motivation. The scoreboard must have both form and function. Holding yourself accountable usually means communicating progress to another person or group, preferably on a frequent basis. If there are no consequences for performance (or lack thereof) then the goal becomes meaningless and forgettable. The authors go into much more detail and cover some important tips and pitfalls, some of which are not obvious or intuitive. After all, if the process was just this simple, it wouldn’t have taken eighty-two pages to describe it. The second section provides practical advice on how to install the Four Disciplines in a team setting, and third on how to roll them out to an entire organization. The latter part of the book contains interesting case studies and answers to some frequently asked questions. It stands to reason that people and organizations that perform repetitive tasks have a lot to gain from this approach. Take sales for example: the number of customer contacts made in a period of time may be a good lead measure that can predict sales outcomes. Changes in process can then be focused on improving the lead measures first and foremost, and only when the point of diminishing returns is reached should focus be changed to a less-impactful measure. This does not mean that the approach is limited to granular homogeneous tasks only. One team at my office — the team my colleague is in — is already building the 4 Disciplines into their departmental operations this year. Their work is analytical and more-or-less project-based. There is not a lot of granular work as you would find in, say, a factory or call center; however, they do gather a variety of metrics and are always looking for ways to streamline their procedures. Their first step is to identify which procedures have the biggest impact on their workload and then to figure out how to identify and manipulate the lead measures to produce a positive outcome, to shorten total project time for example. It seems quite incidental that my company is also changing its approach to employee development, and that while it is not based specifically on 4DX, the two seem to fit hand-in-glove with one another. In fact, I’ve already decided to manage the progress of my own training and performance goals this year using the 4DX methodology. I have experimented some with 4DX on a completely personal level, mainly to get a feel for the nuts and bolts of it. In my opinion, one of the toughest parts of the process is identifying the lead measures — which are not always obvious. It’s a matter of finding the input(s) that have the highest correlation coefficient to the desired output, to borrow some terms from statistics. Also, it is important to recognize that outputs aren’t always singular, and that optimizing one output may have a devastating effect on another. Going back to the weight loss example, consuming minimal calories may do wonders for reaching the desired weight, but at the risk of suffering malnutrition. I definitely recommend this book, and to be honest, I can’t wait to start using the methodology in a more professional capacity. The funny thing is that, as I sat here in our corporate library editing and polishing this post today, another colleague came in looking for a book. She asked if I had read any of them and if I had any suggestions. I immediately recommended the 4DX book, as there are still several copies left on the shelf. I told her that it would be instantly applicable to her work and relayed to her that I was planning on using it for managing my performance goals. She walked away with a copy in hand and a smile on her face. I will have to follow up with her in a few days to see what she thinks. 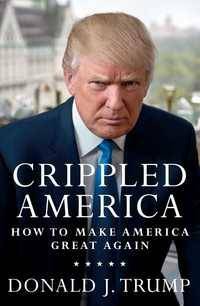 This is a short review of Crippled America: How to Make America Great Again, written by Donald J. Trump. The election is over and Trump has been inaugurated as the 45th President of the United States of America. A lot of people are worried about what he is going to do next. Is he really going to build that wall on our southern border? Is he really going to deport all illegal aliens? What about the Second Amendment? Taxes? Health Care? The good news is, he’s already told you what he’s going to do. That is, of course, if you’ve read his book. Originally published in 2015 under the title “Crippled America: How to Make America Great Again”, the name was changed in 2016 to “Great Again: How to Fix Our Crippled America”. This book embodies Trump’s platform as a presidential candidate, and it is his play book now that he’s in office. The best part (for everyone’s sake) is that the book actually makes him sound sane. Want an example? In chapter three, Trump addresses his campaign promise to build a wall along our southern border to help stop the inflow of foreigners entering the country illegally. He starts by describing what he said in his speeches and how the media spun the story to make him look as anti-immigration as possible. He then sets the record straight, firmly stating in no uncertain terms that he is absolutely not against immigration, but is very much in favor of legal immigration. He also covers a bit of history, explaining how Cuba, Mexico, and other countries in Latin America have taken advantage of The United States’ generous reception of immigrants as a way to offload their own countries of undesirables. [Note: I have not fact-checked his claims at the time of this writing, but he references some fairly-specific events that should be easy enough to substantiate.] Moreover, he qualifies his vision of a new great wall with the admission that it will not be a single wall. “It doesn’t have to cover the entire border. Some areas are already secured with physical barriers. In other areas, the terrain is too difficult for people to cross.” (p. 24) In other words, its not really about building a single, massive wall, but about fortifying areas that are completely exposed. He notes that several States have already built walls for this purpose, and that even Mexico has built a wall to prevent immigrants from spilling over its own southern border. As for Mexico paying for the new wall, Trump does not intend to send them an invoice and hope they cough up the cash. It would be more accurate to say that the Mexican economy will pay for it, not the government. That is, of course, unless the Mexican government would like to improve relations with the U.S. Trump is a shrewd businessman and he understands money. It would be foolish to underestimate his knowledge of economics. It would also be foolish to assume this is a completely accurate, much less, objective treatise on his views and ideas. After all, he wrote the book, so it is by definition a subjective work. In terms of accuracy, I am not implying that he has been dishonest in what he has written, but there are far too few pages in the book to adequately cover the spectrum of decisions and scenarios that he will face in the next four years. He can only hang his hat on campaign promises for so long, especially since he seems bent on fulfilling as many as possible in the first hundred days in office. Trump appears to be very transparent and he likes to keep things simple, but the life and work of the President is anything but simple. And just maybe we should be more concerned about what he hasn’t divulged than about what he has already told us. Still wondering why he chose Steve Bannon as his Assistant and Chief Strategist? I read the book just prior to election day. It seemed a little late to post a review, since no one would have a chance to take my recommendation and read it before casting a vote. But now, with the Left in a tizzy over what the orange, Fascist, racist hate-monger (their words, not mine) will do to dismantle Obama’s legacy and posture the United States as the planet’s ultimate and totally self-serving superpower, it seems more appropriate than ever to reveal what he has already told us. 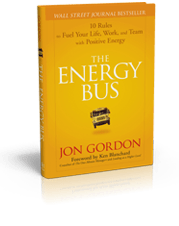 This is a short review of The Energy Bus, written by Jon Gordon. The Energy Bus is a fictional story about a man named George whose life seems to be coming apart at the seams. His performance is being scrutinized at work, his wife is disenchanted with him as a husband, and to top it off, he leaves for work one morning only to find that his car has a flat tire. With no spare and no ride, George is forced to take the bus. This is perhaps the best thing to ever happen to him, for on the bus he meets Joy, the bus driver, and her band of merry passengers who present to George a new perspective on life. George undergoes a miraculous transformation and gets his life back on track. Though a bit longer than the traditional fable, this story was written to teach a series of lessons about personal happiness, effectiveness, and success. Through the character of George, the reader is reminded that he is the driver of his own bus and is in full control of powering and steering the vehicle, as well as being responsible for the passengers he brings on board. The rules of the bus, established by Joy, provide the basis for having a fun and meaningful ride. The bus, of course, is a metaphor for one’s life. The Ten Rules for the Ride of Your Life can easily be found online, and are even provided in printable poster format by the publisher. I was introduced to this book as part of a corporate seminar led by ethics expert and motivational speaker, Dr. Paul Voss. The seminar focused on lessons from this and about four other books. From the title, I was concerned that the book was steeped in New Age teachings on how to channel psychic energy in the workplace. Dr. Voss reassured us that the book was not about that at all, just about how our attitudes heavily influence our performance within our work community, so I went along with it. While Voss’ interpretation was certainly valid and my fear was more amplified than what the text warranted, the book did make at least one explicit mention of the Law of Attraction, a pinnacle of New Age ideas prevalent in works such as A Course in Miracles. The author didn’t harp on this much at all, so if you discount the New Age concept of energy and want to read in the context of simply having a positive attitude (as Dr. Voss advocated), the story still works. The book definitely made an impression on my colleagues, some more than others. Rule #6, “No Energy Vampires Allowed” has been particularly popular around the office. In addition to hiring Dr. Voss to discuss the text to us, the company also purchased some promotional materials for the employees, including some postcard-size versions of the poster linked above, and some smaller cards (approx. 2″x3″) that we were invited to hand out to others or to post in our cubicles as reminders of the lessons contained in the book. In all, as a source of workplace motivation, the seminar and the book were quite successful. I picked up a 1950 edition of Ellen G. White’s The Great Controversy Between Christ and Satan at the used book shop for only a few dollars, primarily because it includes a few chapters on Martin Luther. After doing a little research, I found that this work (and other works by White and her husband) contains foundational material in the formation of the Seventh-day Adventist Church. Despite its 689 pages from Preface to Appendix, I plan for this to be a quick read. Thus, a brief synopsis of each chapter must be sufficient for my notes. Note: This post falls into the Christianity category only because the Seventh-day Adventists self-identify as followers of Christ. I am well aware that they are considered a heretical cult by the rest of Christendom. Preface. The publishers provide introspection and offer praise for White’s work. Introduction. White begins with a short primer on the Bible, the infallible revelation and authoritative word of God. Citing that the Holy Spirit will not (cannot?) operate in contradiction to the Bible, she chastises those who, by their enlightenment, follow the Spirit and no longer need the Word. As the ‘controversy’ builds, this book is offered as a historical view that should help the reader come to a right understanding of what the future holds. White quotes several times The History of the Jews, which was authored by The Very Reverend Henry Hart Milman (Anglican clergyman and Oxford professor) and published in 1829. White’s account mirrors certain passages in The Last Days of Jerusalem by another English scholar, Alfred J. Church. Chapter 2: Persecution in the First Centuries. The first Christians were tortured mercilessly and many killed by the Romans, often as a result of false charges brought against them. Martyrs were not only secure in Christ, but their sacrifices strengthened their fellow believers and resulted in the conversion of many to the faith. Satan could not win by force, so he decided to try deception. “The great adversary now endeavored to gain by artifice what he had failed to secure by force.” (p.42) Persecution ended and was replaced with comfort and privilege. The Christian church started compromising its faith for the sake of the idolaters who were joining their ranks, thereby forming a union with pagans. The Christian faith is popular today because it is in such close alignment with the sinful ways of the world. Tertullian’s Apology (¶50) is quoted. Ananias and Sapphira are used as examples of the types of sinners who infiltrated the early Church. Chapter 3: The Apostasy. Once Christianity was established as the religion of the state by Constantine, it was the Roman Church that Satan used as his instrument to compromise the faith. “The Apostle Paul, in his second letter to the Thessalonians, foretold the great apostasy which would result in the establishment of the papal power. […] Even at that early date he saw, creeping into the church, errors that would prepare the way for the development of the papacy.” (p.49) Such errors were the direct work of Satan. For example, to undermine adherence to God’s law, he worked to change the primary day of worship from the true Sabbath to the pagan feast day of the Sun, first through the Jews by encouraging them to pile on unnecessary traditions on the day of rest, and then through the Christians who hated the Jews and their laws. It was Satan who brought power to the papacy as well, fulfilling prophecies foretold in the books of Daniel and Revelation. The Pope eventually claimed to be the visible head of the entire Church, took on titles that made him appear to be equal with God, and proclaimed himself to be infallible in all he decrees. Satan knew that the Bible alone could expose the Pope as the agent of Satan, so he eventually suppressed it, thereby ushering in the Dark Ages, when the Christian world experienced no intellectual progress. With the people unable to think for themselves, the Church began to preach the benefits of various physical acts for the atonement for sin: pilgrimages, penance, relic worship…even payments of money to the Church! Ancient (forged) documents started to emerge, supporting all sorts of strange beliefs. First came the belief in the immortal soul of man, which is not mentioned in the Bible. This led to the concept of sainthood and the veneration of ordinary people, such as Mary. Then, there came the notion that the soul is to be punished before entrance into Heaven, which the Church called Purgatory, and which added to the acts of atonement the selling of indulgences. This ultimately made the Church rich. Finally, the simple ordinance of the Lord’s Supper was replaced by the sacrifice of the Mass, which gives the Roman priest the (perceived) power to create God from the earthly elements of bread and wine. The rhetoric used in this chapter is largely the same as that used by Christian Fundamentalists today, with a few modifications. For example, the words human theories and traditions are used instead of the more familiar traditions of men. The Dark Ages being the result of the suppression of the Bible is supported by Hosea 4:6: my people are destroyed from lack of knowledge. The prophecies mentioned above refer to the Dragon (Rev 13:2) and the 1,260 years of tribulation (Dan 7:25, Rev 13:5-7, Rev 12:6). Several other points are supported with references to Catholic documents, though based necessarily on her interpretation of their meanings. Chapter 4: The Waldenses. During its reign, Rome persecuted those who chose not to hold her beliefs and dogmas. Not only were the writings of dissenters destroyed, but so were the records of their persecutions. This extended even to Britain, the farthest reaches of the Empire. Christians fled first from Rome and then from pagan Saxon invaders, protecting all along the pure Christian doctrine from defilement. Rome sent missionaries to convert the heathen Saxons. When the primitive Christians were discovered and refused to follow the Pope, they were threatened with violence by the Pope’s representative. The Wikipedia article on the History of Christianity in Britain provides a sufficient backdrop for the period covered in the first part of this chapter, particularly the sections on the Celts and Anglo-Saxons. According to history, as Rome withdrew from Britain and the Saxons invaded, the Church there was replaced with pagan Germanic polytheism. Saint Columba, Abbott of Iona (Scotland), is mentioned by name. White claims that one of his missionaries was an observer of the Bible Sabbath, and since Iona was a center of learning, this “truth” was known amongst the people. The Pope’s representative (White uses the word emissary) was Saint Augustine of Canterbury. 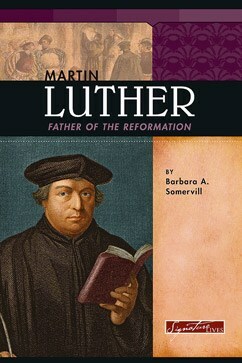 This is a short review of Martin Luther: Father of the Reformation, written by Barbara A Somervill. This is a very good biography and primer on Martin Luther. It is written for young readers, probably those of middle school age. The book covers Luther’s early years, his formative time as a monk, and all of the major events that defined him as a Reformer. It is a quick read and very easy to understand. This statement treats baptism as an ordinance and not the reception of the one being baptized into the household of God. This sounds a lot like something my Baptist or Bible Church friends would say, because even traditional Protestants, such as Lutherans and Anglicans, practice infant baptism and believe that it holds Sacramental value. So, while the book may be historically accurate, it seems to be somewhat biased theologically. I cannot recommend it for Catholic children without some explanation from an informed adult. 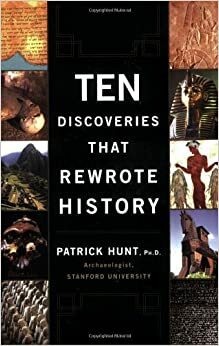 This is a short review of Ten Discoveries That Rewrote History, written by Patrick Hunt. I picked up several books about archaeology at the library one day, just to get a high-level survey of the subject. This book was amongst them. I was totally in judge-by-the-cover mode that day and this one looked like an easy read. To be completely honest, I only ended up reading a few of the chapters all of the way through. Even so, I really enjoyed the parts that I did read. I agree with many of the reader reviews in that this is not (and is not intended to be) a deep study, but an introduction to archaeology through a survey of ten important finds. I really like the format of this book! Each chapter covers a particular archaeological discovery. Keep in mind that the word discovery can be a verb as well as a noun. In other words, the chapter on the Dead Sea Scrolls doesn’t only describe the scrolls themselves, or what they contain, but how they were discovered. Sometimes the story about how an artifact was discovered is much more interesting than the artifact itself. Hunt’s style is one of storytelling and he doesn’t write using lofty language. His intent is to bring the reader closer to the point of discovery, to make the moment more real. In my opinion, this book would serve as a great launchpad for student researchers interested in studying more about any of the ten discoveries covered. (And by student, I do not mean archaeology majors.) I also thought it served my needs well: a good read for someone just getting their feet wet. Patrick Hunt is a lecturer at Stanford University who, by all accounts, really enjoys his work. He has reportedly suffered from broken bones, sunstroke, and other afflictions in the course of doing his research. According to his biography page, he also has a passion for composing music and writing poetry. A brief synopsis of each can be found in this short interview with the author. 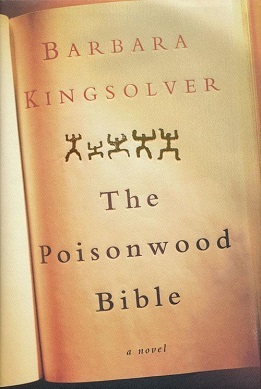 This is a short review of The Poisonwood Bible, written by Barbara Kingsolver, narrated by Dean Robertson. This book, written by a best-selling author, was published in 1998. A year later, it was nominated for the Pulitzer Prize and added to Oprah’s Book Club. It is the story of a Baptist missionary family that moved to the Congo, Africa in 1959. Written in the first-person from the perspective of Orleanna, the wife of Rev. Nathan Price, and her four daughters, each chapter reads like an entry out of their respective diaries. The daughters range from ages five to fifteen when the story begins. Their narratives vary in tone and sophistication in accordance with the girls’ ages and personalities. Most of the plot covers the few years they spend adjusting to life in Africa and the tribulations they face as colonial Belgian Congo gains its independence, becoming the “République du Congo” and eventually Zaïre . The latter chapters move swiftly through the adult lives of the daughters, over a period of twenty years or so, after most of the family moved back to the United States or to other parts of Africa. This is a historical novel. The plot and the characters are fictional, but the descriptions of the setting and the Congolese people, as well as the political atmosphere of the time are all rooted in fact (though I am not qualified to state how precisely the history is represented). The story is a simple one really, with the intricacies brought forth primarily in the characterization rather than the plot. By the end of the book, you really feel like you know these people. There is a lot of drama, a healthy dose of situational humor, and some suspense — something for everyone. I really must say more about the characterization, for that really is the genius of this book. Each chapter is narrated by Orleanna or (more often) by a one of the daughters. Because I was listening to the audiobook, it took me a few chapters to catch on. Each chapter begins with the name of the person from whose perspective it is written (reminiscent of William Faulkner). Once I had worked out that little detail, it was much easier to follow along. Each character has her own style and vocabulary. Ruth May, the youngest daughter, uses simple words and understands basic concepts, with a few misconceptions that add a certain cuteness factor. The middle daughters, Leah and Adah, are teenage twins whose narratives are far more sophisticated and convey plainly the striking differences in their personalities. The eldest daughter, Rachel, is conceited a bit flighty, not the brightest bulb in the pack. This is reflected in her chapter through the misuse of common words and phrases, such as “took for granite” (granted) and “give up the goat” (ghost). The maturation of the girls and the bitter transformation of Orleanna are manifest in evolution of their writing styles as the story progresses. The only negative aspect (IMHO) is that the author really downplays religion. In the end, it seems that there is no discernible difference between the overzealous Rev. Price and Tata Kuvudundu, the village witch doctor. Christianity is made to appear irrelevant and impractical in The Congo…well, perhaps with one exception. Brother Fowles, who is Price’s predecessor and a late disciple of Saint Francis Assisi, in discussing with Orleanna the state of the mission makes the comment that “there are Christians and then there are Christians,” implying that real Christian love isn’t about dunking as many people in the river as possible, but about serving one another and teaching the Gospel by example instead of by preaching. I would say that this was an awesome testament to Catholicism (Fowles is a follower of Francis after all) if it ended in some other way, for by the end of the book, all of the (surviving) women in the family have basically rejected their Christian faith and blame God for their worldly woes. I suspect this book appeals very much to the “spiritual, but not religious” crowd, and I certainly would not advise that any Christian turn to it for spiritual guidance or insight. Overall, I was quite pleased with the narration (which started off rather shrill). Robertson added variation to the voices, an additional element the characterization, something far more tangible than just their words.